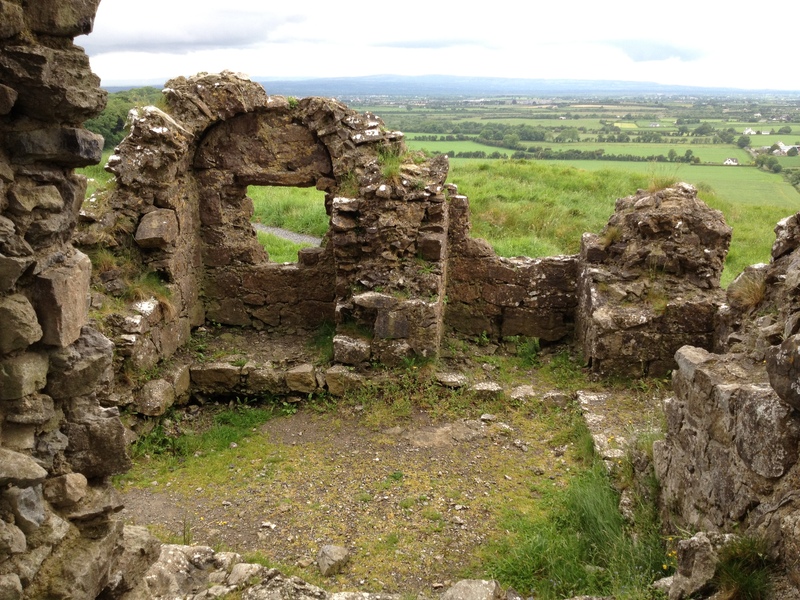 The Rock of Dunmase is a stunning medieval ruin perched on a rocky outcrop a few miles east of Portlaoise, Co Laois. 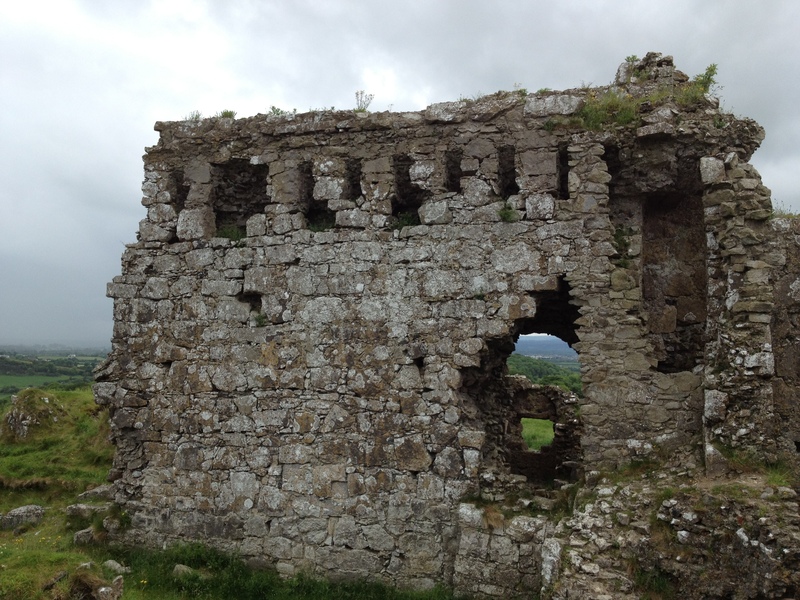 Overlooking the surrounding landscape the ruinous castle was once a formidable fortress. Standing atop a steep rock it is protected on three sides by cliffs while the only accessible side was protected by a double barbican, two gatehouses and numerous defences. Originally built in the 12th century the castle may well have been abandoned by the mid 14th century during the Gaelic revival which saw large swathes of the country reconquered by Gaelic Irish lords. 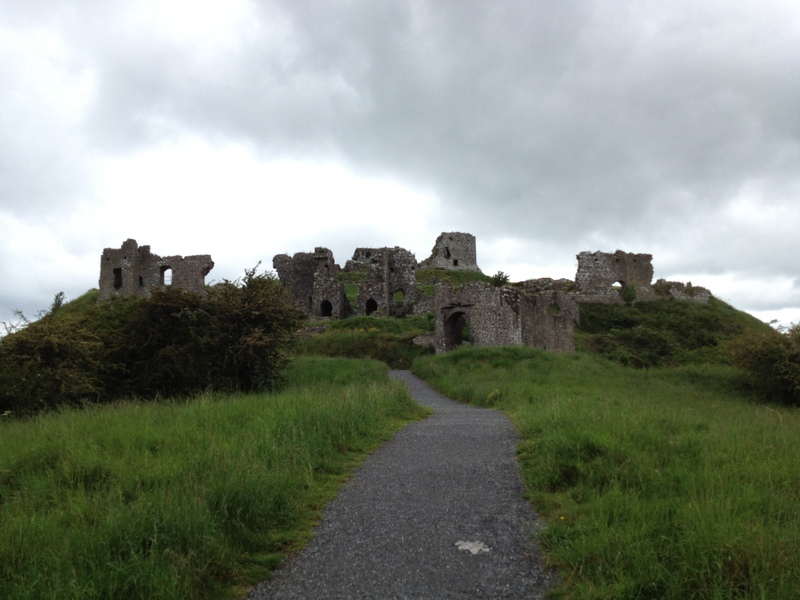 Dunamase survived somewhat intact up until the arrival of Cromwellian troops in 1650. Then a ruin it was rendered unusable after being battered to pieces by cannons. Initial work on the norman castle at Dunamase was probably started my Meiler Fitzhenry shortly after the norman invasion in 1180’s. Fitzhenry went on to attempt to resist the take over of the Lordship of Leinster by a new feudal lord William Marshall to whom it passed, when he married Isabella de Clare, Strongbows daughter and heir. 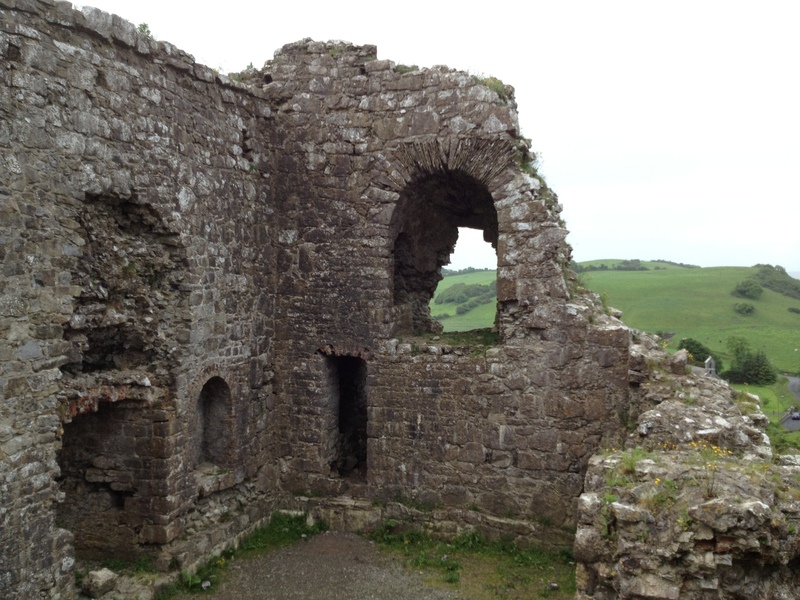 This failed and around 1208 Dunamase as part of the lordship was eventually taken by Marshall. Marshall undertook massive developments in the lordship of Leinster. 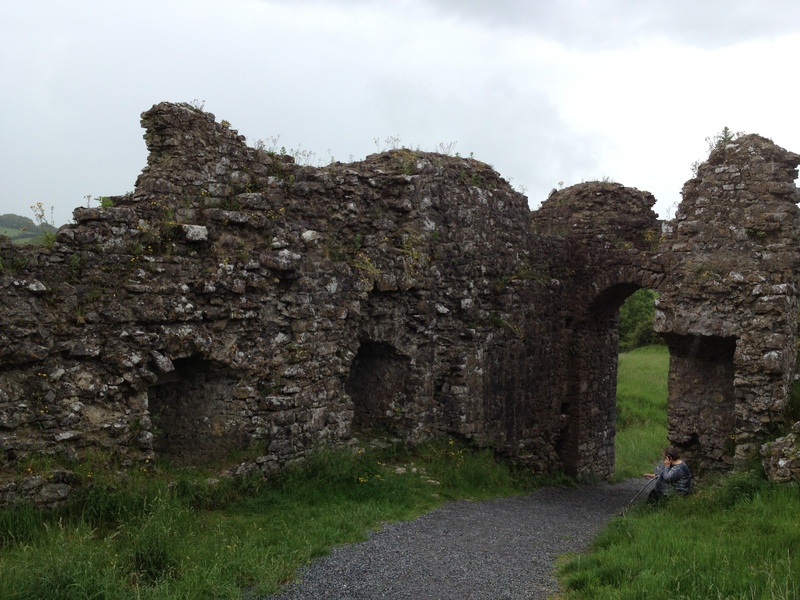 This saw him build the port of New Ross, Kilkenny castle, Carlow castle and overhaul Dunamase. 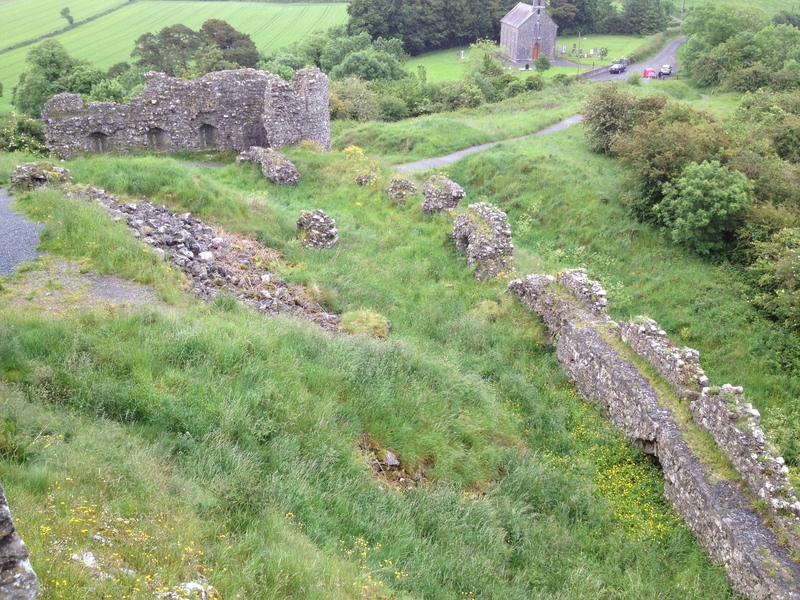 In 1219 William Marshall died and this precipitated the most unusual breakup of the lordship of Leinster which had a huge impact on Dunamase. All four of Marshall’s sons became the Lord of Leinster but all died without an heir, each passing the title to his younger brother. When the last son Anselm died in 1245 in accordance with medieval law the lordship was divided between Marshall’s five daughters or their heirs. This saw the lordship broken in five parts. One daughter, Sybll was had died earlier in 1245 and she left no male heir but seven daughters who each received an equal portion of their mothers claim. 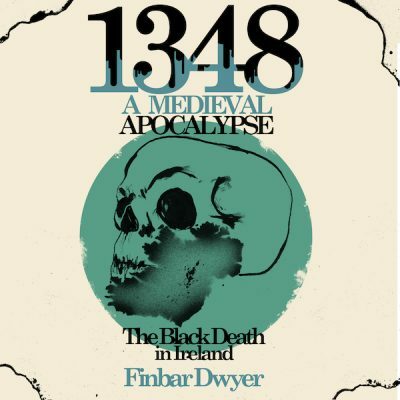 By 1250 after more deaths the once unified Lordship of Leinster was broken into 14 parts each passing into different families. Many of Marshall’s daughters and granddaughters married into major families in England. 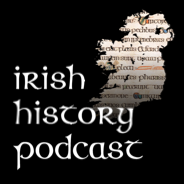 Through these marriages they passed their share of the lordship into families who often had little interest in Ireland. Those that did were frequently involved in feuds with other norman families Ireland, weaking the norman colony in Ireland. 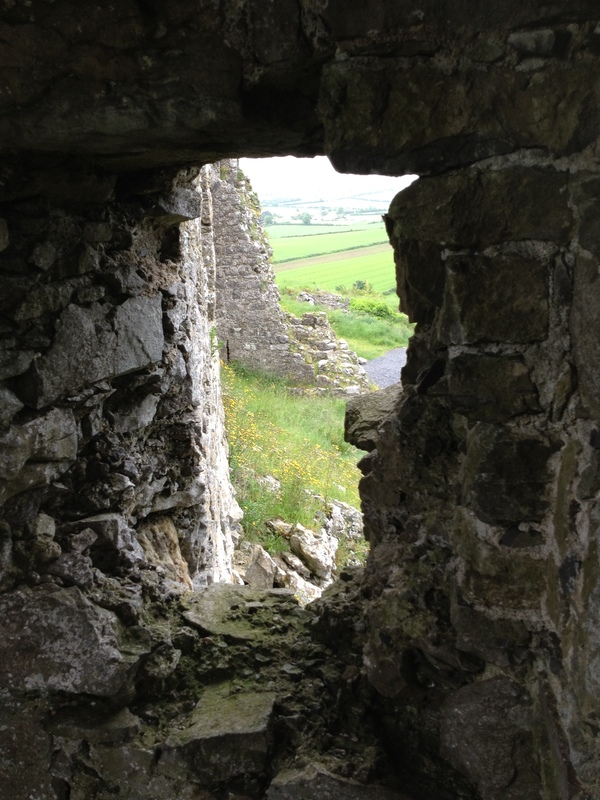 This was one of the contributing factors that saw a Gaelic revival in the late 13th and 14th centuries which would have a profound impact on Dunamase. 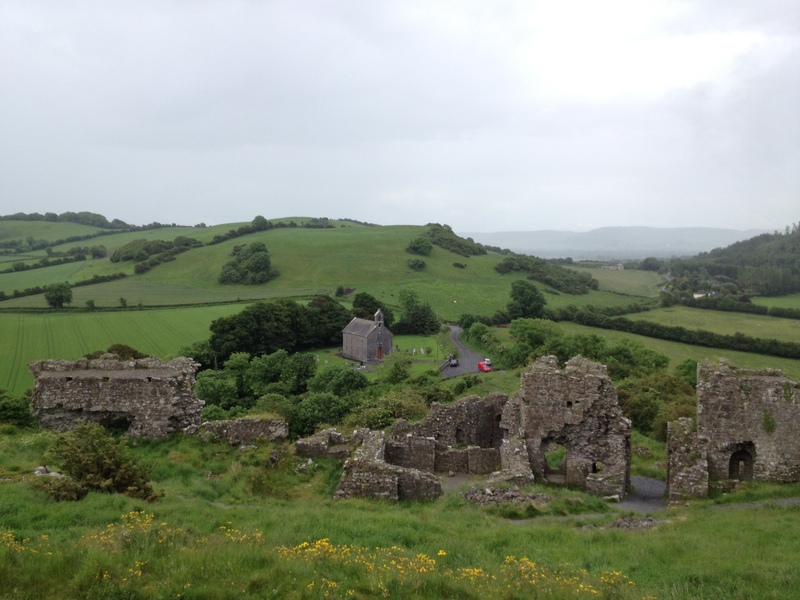 After the break up of Leinster, Dunamase passed into the Mortimer family who held the castle until about 1330. 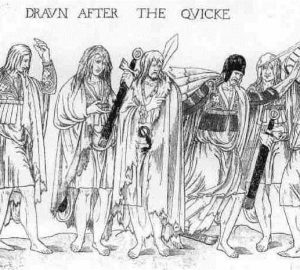 This period coincided with a revival of the Gaelic Irish who had been driven off their lands into bogs and mountains. Dunasmase’s close proximity to the Slieve Bloom mountains where the Gaelic Irish of the midlands had retreated saw it frequently attacked. It appears the Mortimers abandoned the site probably in 1330 when Roger Mortimer fell from grace and was executed for treason. In their absense the gaelic O Mores retook Dunamase and the surrounding lands, however they did not occupy the castle which fell into ruin. 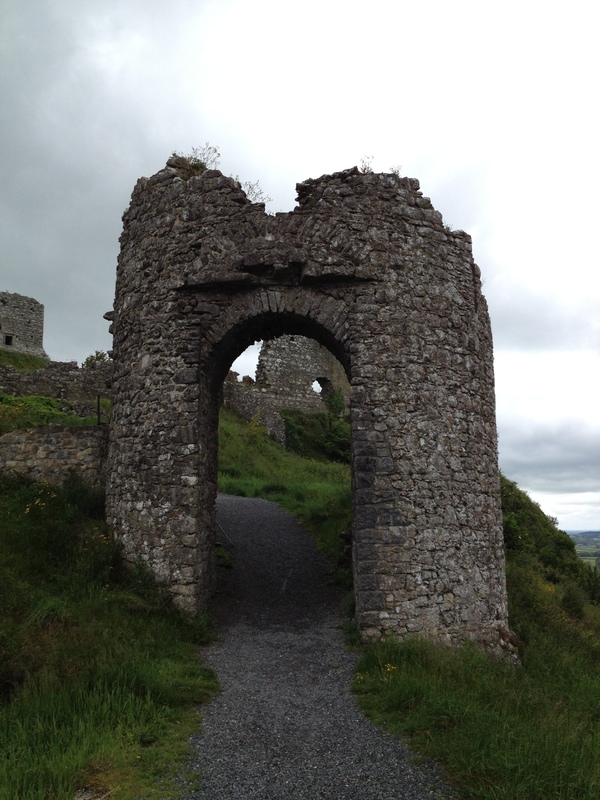 In 1650 Dunamase was destroyed by a Cromwellian army in an effort to render it militarily useless. This they clearly succeeded in doing – the castle was destroyed as a military installation. This picture is taken from what would have been the approach to the castle entrance. The foreground would have been what is called the outer barbican. A barbican was a defensive work designed to protect the gateway to a castle. They can take the form of an extra tower like at Trim castle or in the case of Dunmase large enclosures. 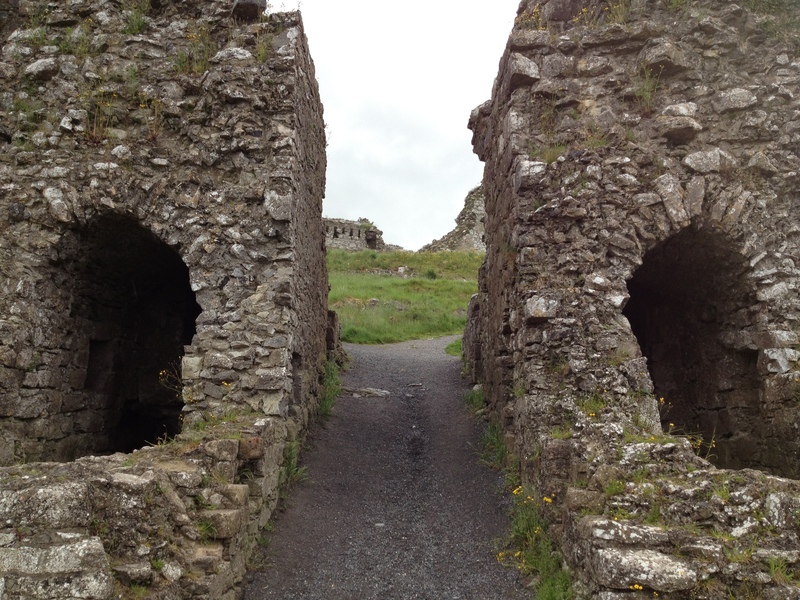 At Dunamase there was a two: an outer and an inner barbian. The outer barbican was an earthen enclosure with wooden pallisades and nothing save some earth works now remain. The first stone defensive work facing an attacker was the inner barbican. This took the form of a walled enclosure in front of the main gateway. This barbarican was entered through this arch in the circular tower above. 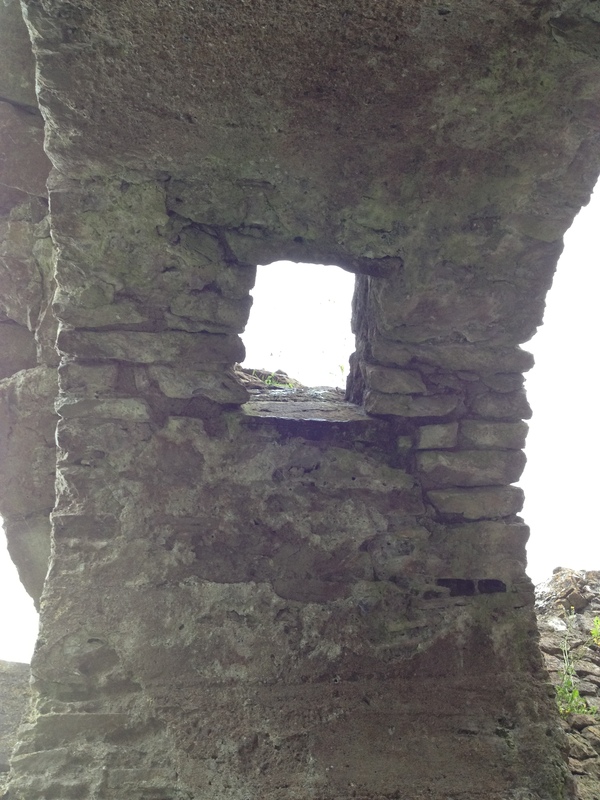 Little remains of this tower although this murder hole still remains in the roof arch. This is the remains of the main gatehouse. It connected the Inner Barbarican to the Lower Ward of the castle. The Lower ward was the first part of the castle proper. This is the view from the tower at the north end of the barbican which overlooked the gatehouse. The Lower ward was the first functional / residential part of the castle. This area would have contained numerous wooden structures along with a massive gatehouse, the remnants of which can seen in the picture above. 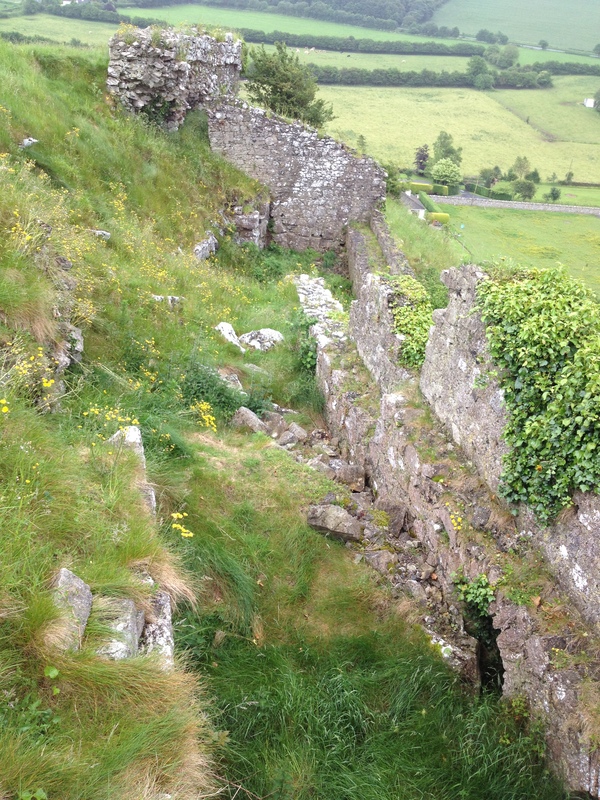 The most interesting feature in the lower ward is the remnants of a postern gate. The postern gate was a small second easily defended entrance given the sharp incline and narrowness of the path. This postern gate was accessed down two ramps. One is visible demarcated by the darker grass in the centre of the picture. There was another parellel ramp leading down off the hill side on the other side of the ramp of the wall on the right. 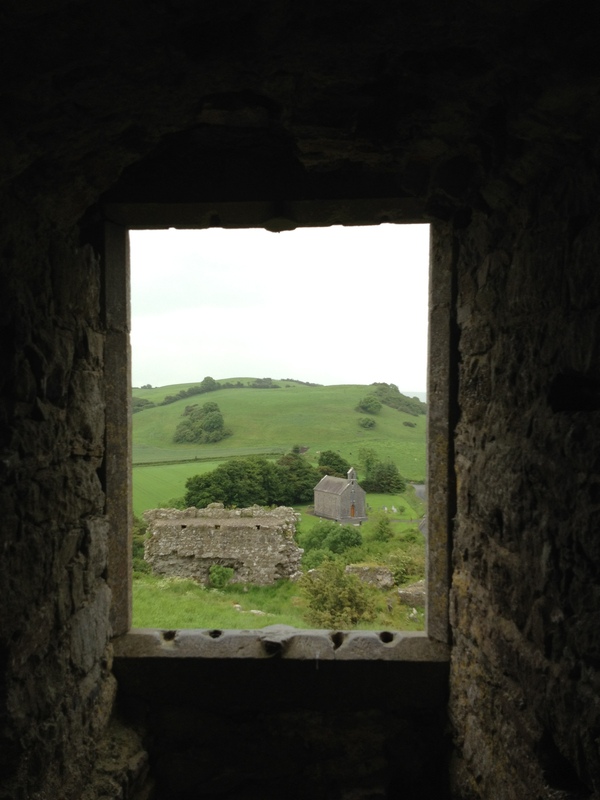 The view through this remaining window in the keep looks out over another hillside in the distance. The earthworks on the hillside are apparently the remains of the gunplatforms built by the Cromwellian army in 1650 when they destroyed the castle. The “Rock” in the distance. 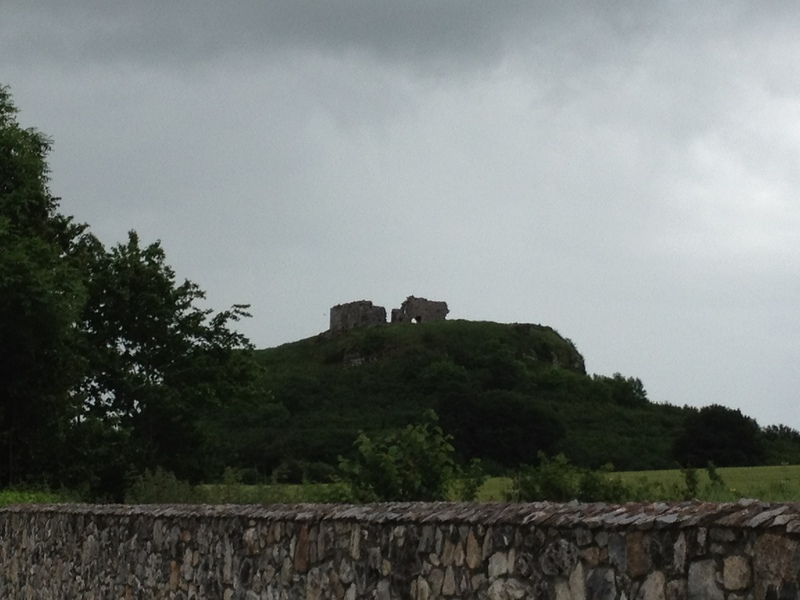 The Rock of Dunamase is easy to get to by car – situated a few miles east of Portlaoise. There is no entry charge.